Are you in search of a sophisticated vehicle that has all of the latest comfort and convenience features but not the steep price tag? If so, then you’re in luck. At Jaguar Monmouth, we have a wide selection of affordable luxury cars, both new and gently used, for all budgets. Your dream vehicle really is in reach at Jaguar Monmouth. We appreciate your interest in our inventory, and apologize we do not have model details displaying on the website at this time. Please fill the form out below and our team will quickly respond, or, please call us at (877) 672-8680 for more information. 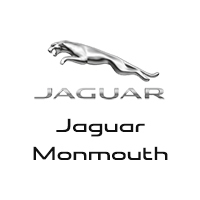 Why Choose Jaguar Monmouth for Affordable Luxury Cars for Sale in Ocean, NJ? Jaguar Monmouth not only has an outstanding array for affordable luxury cars to choose from, but we also make the vehicle shopping process quick, convenient, and hassle-free. Our finance department is here to guide you every step of the way when securing some of the most competitive rates around. Our commitment to our customers does not end when you take your new vehicle home. We have a state-of-the-art service center to ensure your vehicle runs like new for many years to come. If you have any questions, be sure to contact us at your convenience. We look forward to showing you our remarkable affordable luxury cars.